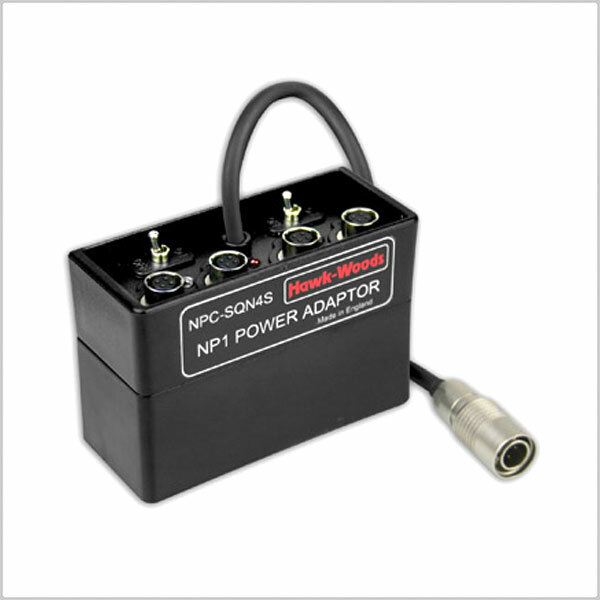 NPC Power Adaptors have all the benifits of the NPB range but are supplied in a different format. The orientation of the fitted adaptor, means that the switches more accessible when its used vertically in a sound bag. The NPC-SQN4S is fitted with a Hirose(SQN) connector and also features four switched auxiliaries (Hirose sockets). These outputs are fused and a low battery voltage indicator fitted.